Christmas is a time when the home can be transformed both inside and out (if you can afford to pay the massive electricity bill after covering the house in more lights than Las Vegas). Some people even make the home smell different, buying special candles and air fresheners with Christmas-themes such as pine forest, mulled wine and reindeer poo (probably – I’ve done no research). 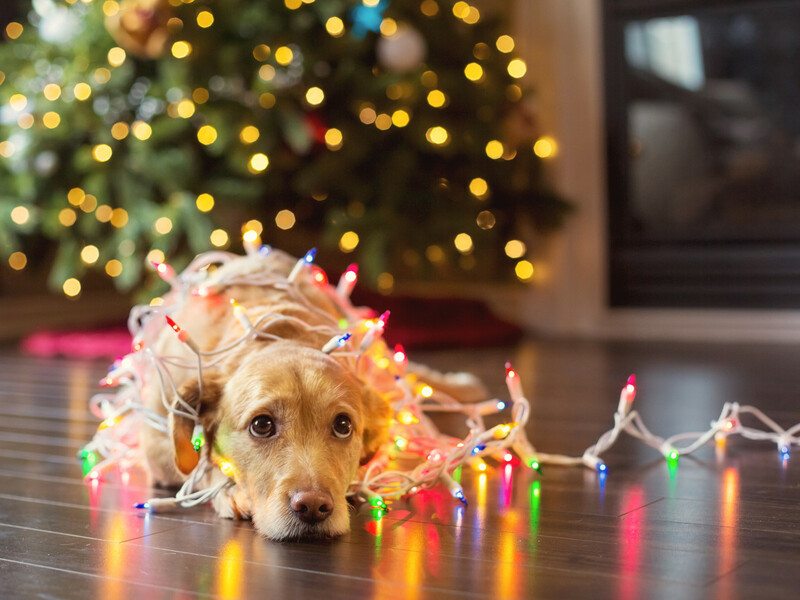 Dogs can be very sensitive to changes in environment, while others can just get tangled up in low-hanging decorations and lights. If you aren’t sure, keep them away from the Xmas decorations when you aren’t at home. 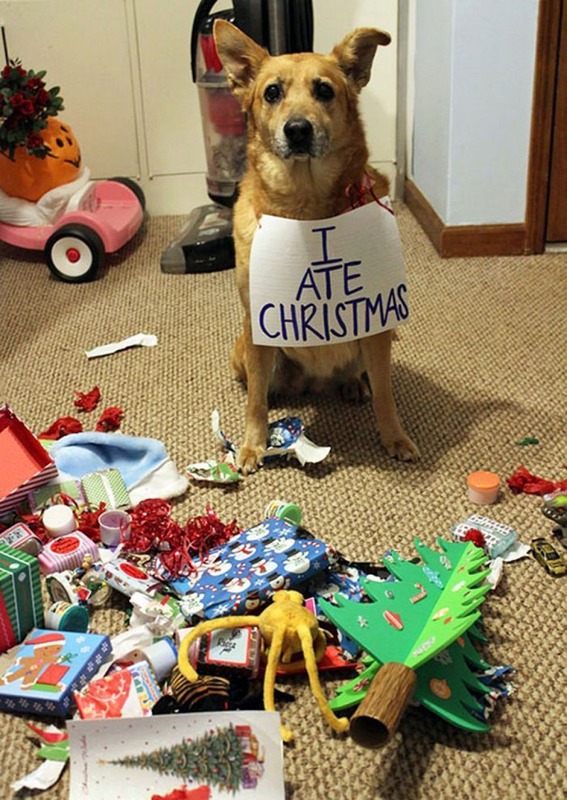 In fact, there are some traditional decorations that can actually be harmful to our 4-legged friends. Holly and mistletoe, even pine needles should be kept out of reach, along with more exotic choices such as poinsettia and amaryllis plants. Needless to say, it is also a very good idea not to hang chocolate decorations too close to the ground. We all know that chocolate is poisonous to dogs and the last thing that you want to spend money on at this time of year is a trip to the vets (complete with the very festive experience of watching your dog projectile vomit a mixture of choc and peroxide). (I decided to use this cartoon as a photo of an actual dog doing it is even worse (and you might be eating as you are reading). Large amounts of onions, chives and garlic. Grapes, sultanas, raisins and currants. Have fun getting as stuffed as a Christmas turkey!